This is a great sweet barbecue mop and works particularly well with beef. 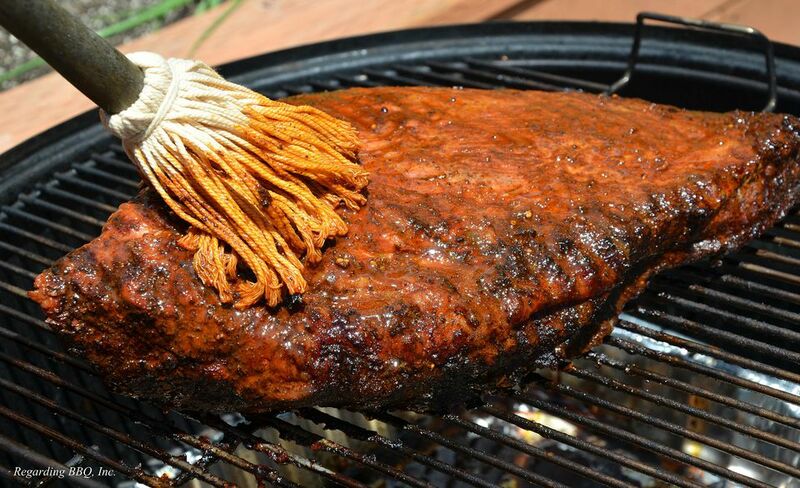 It's a perfect mop for smoked brisket, but can be used on pork as well. In a small saucepan on medium-low heat, combine all ingredients until sugar has melted through. If it is too thick, add a little water to thin it out. Remove from heat and allow mixture to cool to room temperature before using. If making ahead of time, follow previous instructions and store in an airtight container in the refrigerator for up to 3 days after preparation. To use, simply apply mop several times during the later stages of smoking a brisket or pork roast.